Preheat the oven to 375° and line two large rimmed baking sheets with parchment paper. 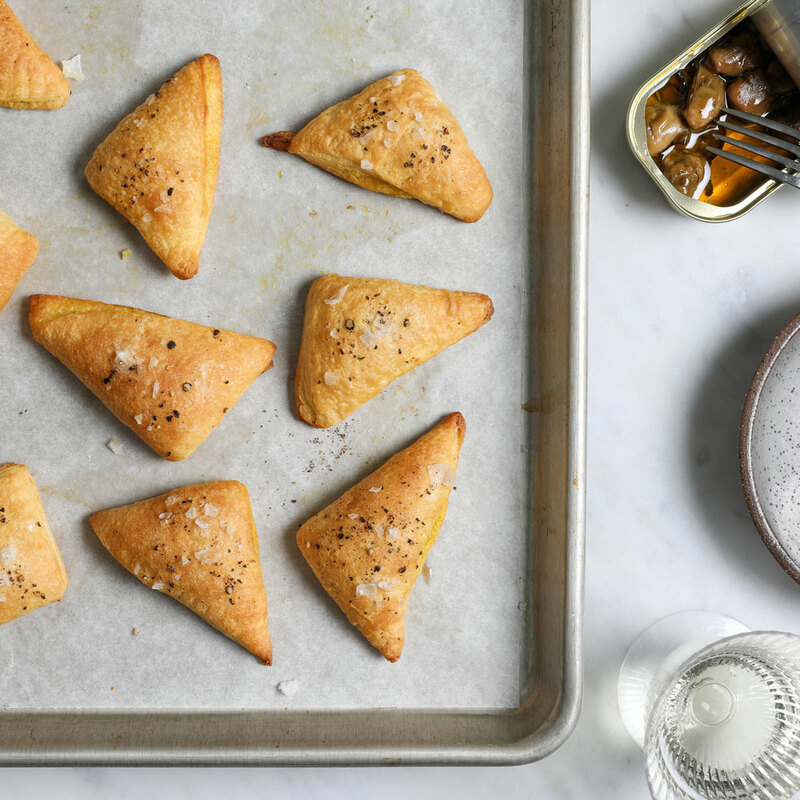 On a work surface, unroll the crescent dough and then cut each triangle of dough in half crosswise to form 32 smaller triangles. Put one smoked oyster in the center of each triangle. Fold the dough over the oyster and press the edges to seal, then crimp decoratively with a fork. Transfer the empanadas to the prepared baking sheet. Brush the empanadas with melted butter and sprinkle with flaky salt and freshly ground pepper. Bake the empanadas for 12 to 15 minutes, until lightly browned and puffed. Serve warm.